It’s no secret that the AV/VTC industry is going through some very challenging times these days with many small- to mid-size integration firms struggling to keep their doors open. Add in the recent frenzy of mergers and acquisitions, and it’s easy to see why so many owners of AV firms are considering getting out of the industry. Many observe that the big firms seem to be getting bigger every day and are leveraging their formidable financial and operational resources to ease out smaller competitors. Is it time to give up? Cash out and head to the beach? Or perhaps do some real self-examination and understand (as a business) who you are and what you stand for? Recently, my company engaged in an intense battle to win a $2 million AV contract at a local corporate account that I had personally been chasing for more than 20 years. Initially there were several dozen companies (from all across the country) competing for the business. Many of the firms were much larger than my company and had resources that we could only dream of. Was there any possibility that a firm our size could really go to toe to toe in this account and actually win the business? Against all odds, my company was one of a few firms that made it to the final cut. Subsequently we were asked to meet with corporate staff (yet another time) to review some issues. While we were apprehensive about the meeting, we all agreed that we had to put our best foot forward with our proposal. At the outset of the meeting, it was evident that the corporate sourcing and procurement managers really wanted to talk about one thing: pricing. At that point, we were challenged on almost every line item in our proposal. It was the answer we needed, and I was thrilled to hear it. The funny thing is that when my team and I left the meeting, my VP of design/engineering turned to me and said, “I don’t know what you had for breakfast this morning, but keep eating it.” The comment made me think about one of the single most important issues that the owner of an AV integration firm needs to consider these days: Know your brand! If the company owner doesn’t know the brand, then who else should? For all of us who are running integration firms, it doesn’t take a genius to figure out that most of us cannot compete in a “price war” with clients and prospects. The bigger firms have a distinct advantage with deeper discounts, resources, etc.—simple as that. But I believe smaller- and mid-sized integration firms need to focus on their strengths, not their weaknesses. In our case, although we weren’t able to match competitors’ pricing line item by line item, we did offer the client local project management, service, and support. With a project over $2 million (that was also new construction), that was a big deal. So what happened next? After days of further evaluation, we got the call that we were the chosen vendor for the project. Great news for us! But it also reinforced the whole notion of knowing your brand. In our case, our brand was not (nor ever has been) the low-cost provider. However, we are a highly respected company that focuses on our quality of work and ongoing customer service and support. And In the end, we won a big contract because we stuck to our guns and recognized who we are, and we have an industry brand that will serve us for many years to come. 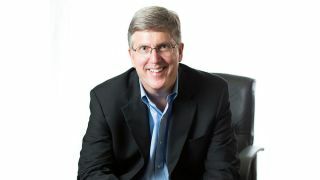 Jay Myers is the founder/CEO of Interactive Solutions, Inc. (ISI), a Memphis-based firm that specializes in videoconferencing, distance learning, telemedicine, and audiovisual sales and support. He is the author of Keep Swinging: An Entrepreneurs Story of Overcoming Adversity and Achieving Small Business Success and Hitting the Curveballs: How Crisis Can Strengthen and Grow Your Business.